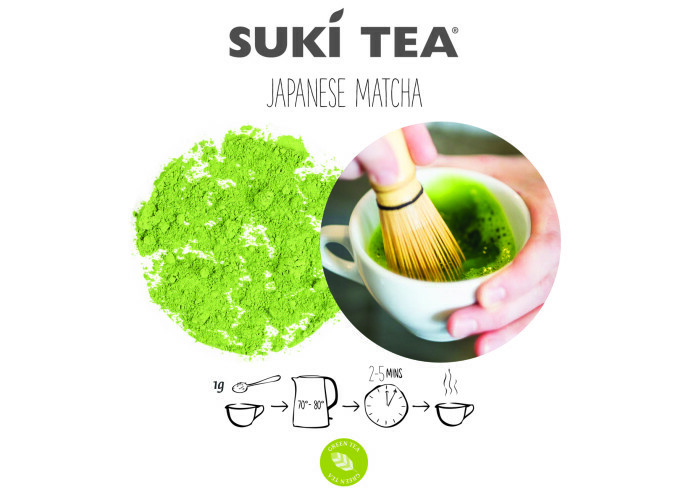 The Japanese have been drinking the wonder that is Matcha tea for centuries, originally by Buddhist monks to enhance meditation, for us though it's the greatest rediscovery of the 21st century, it has always been used in the famous Japanese Tea Ceremony. Pure Ceremonial grade Matcha is renowned for its seaweedy, vegetal and balance of sweet and bitter, giving it that umami taste. The aroma of a quality Matcha is soft, sweet and creamy with a hint of herbs. Matcha is treated in a similar way to that of an Espresso, it is very versatile! You can enjoy it the more traditional way as a latte or it can be enjoyed as a pure Matcha shot, we encourage you to try it pure, a calming ritual with a prolonged caffeine kick! However for those of you that are new to Matcha and want to work your way up to the punchy shot, Matcha makes a great addition to your slushies, smoothies, shakes, energy balls and even cakes! We love its versatility!! Preheat your bowl with hot water, resting the tip of your whisk in the bowl to soften it - tip out water and dry. Whisk using bamboo chasen in a zig zag or 'W' motion, using a relaxed wrist, whisk until you have a thick froth with many tiny bubbles. Usually about 20-30 secs. Drink in 3 gulps the Japanese way. Matcha was traditionally prepared not to be sipped as it will ultimately rest at the bottom. Top tip - we always encourage using freshly drawn boiled water (preferably filtered to remove limescale, flouride and other nasties which would interfere with getting the best taste experience). Japanese green tea drinking can be enhanced using re-boiled water with less oxygen in it! In a bowl, whisk hot water (not boiling, about 70°C) and Matcha together. Mix well, making sure there are no lumps left in the mix, then add a teaspoon of honey and whisk some more. Froth 1/2 a cup of coconut milk and heat until just steaming. Half fill a cup with your hot Matcha mix and add the frothy coconut milk on top. Finish with a sprinkle of nutmeg for a winter cosy warmth. One of the best and explanatory articles on the web on matcha and its preparation! Well done!